Documentary film, video, installation and paintings on the theme of Exile and the Spanish Civil War. 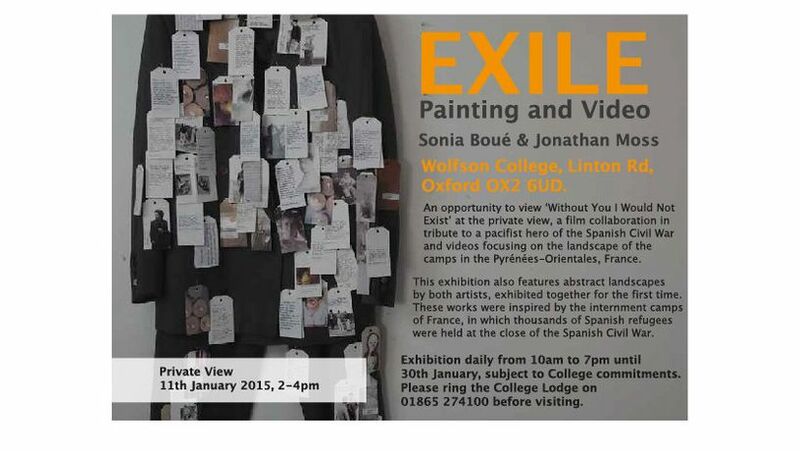 An opportunity to view ʻWithout You I Would Not Existʼ at the private view, a film collaboration in tribute to a pacifist hero of the Spanish Civil War and videos focusing on the landscape of the camps in the Pyrénées-Orientales, France. This exhibition also features landscapes by both artists, exhibited together for the first time. These works were inspired by the internment camps of France, in which thousands of Spanish refugees were held at the close of the Spanish Civil War.